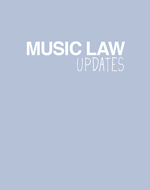 COPYRIGHT Music Publishers, Record Labels, Education ARTICLE: This is a link to an article which argues that musicologists are being penalised by record companies and music publishers who refuse to allow them permission to transcribe songs from their artists. It’s unfair and it’s got to stop, says Professor Sheila Whiteley, from the University of Salford. The Guardian, Friday August 5, 2005 See: http://education.guardian.co.uk/higher/research/story/0,9865,1542685,00.html For an article debating the issues in using the exception of ‘fair dealing’ when using copyright material without permission (related to film and TV) see ‘Fair Dealing – Or What Connects Princess Di, L. Ron Hubbard and A Clockwork Orange? by Carrollanne Lindley, trademark attorney and partner, Kilburn & Strode, London.